Dry eye condition occurs when there aren’t enough tears to lubricate the eye. If not treated, it can lead to other serious infections in the eye, and although it is managed, it can never be fully eliminated. CLEVELAND — Dry eye condition occurs when there aren’t enough tears to lubricate the eye. If not treated, it can lead to other serious infections in the eye, and although it is managed, it can never be fully eliminated. It’s typically a diagnosis for older patients, but doctors are noticing a change. 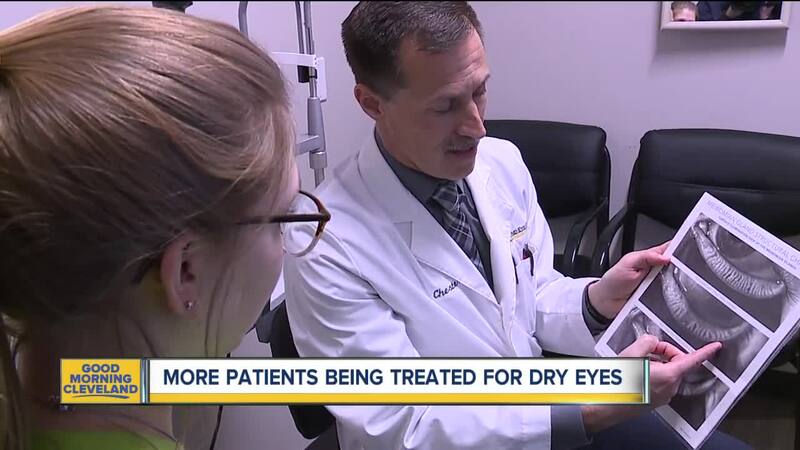 “Twenty-two years ago, when I started, most of the patients with dry eye disease were the pre-menopausal females or patients who were on significant medications, like antihistamines, that dried their eyes out,” said Dr. Tom Chester of the Cleveland Eye Clinic. But Chester says that’s not the case anymore. He attributes the shift of younger and younger patients to increased screen time. “One of the biggest aspects about tablets and phones is that the patients don't blink, and so when they're not blinking, they're not causing the ocular surface to utilize the glands to produce a good tear film,” said Chester. That can lead to other conditions, like infections and scarring. Chester says it’s up to parents and caregivers to make sure kids are blinking when they’re using electronics. 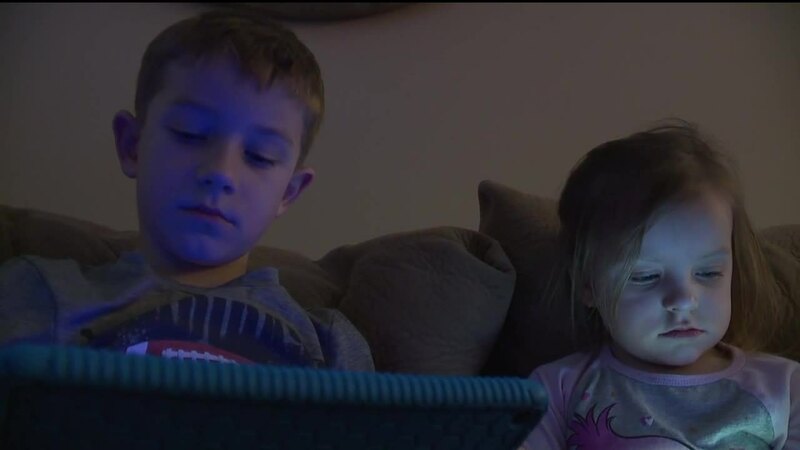 Experts suggest limiting screen time. “The one thing about children and teens, in particular, is they don’t typically complain about their eye health. So, it’s important for parents or caregivers to watch or pay attention to the children, or even teachers to pay attention. If they see a lot of eye rubbing, if they see a lot of blinking, or squeezing, it could be because the surface is irritated, and the children don’t know any different, so they don’t know how to necessarily say ‘My eyes are dry,’ ” Chester said. He doesn’t anticipate this trend of younger kids diagnosed with the condition to go anywhere, anytime soon.